Located in northern Massachusetts, the city of Newburyport, on the southern banks of the Merrimac River, by the mid-1700’s had become a ship building and fishing center for the colony. The entrance to the Merrimac was marked in 1787 by the establishment of the Plum Island Lighthouse. Additional aids were needed once ships passed Plum Island to guide them to the deep water harbor at Newburyport. 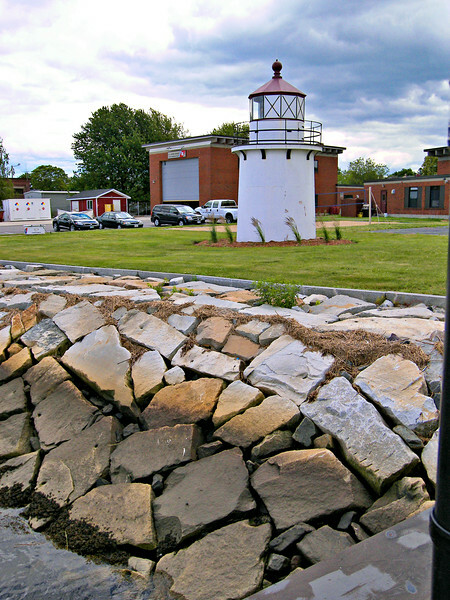 As early as 1790 private lights were built along Newburyport’s harbor to guide ships to the wharfs. The lights were used to provide a range for the ships to help avoid the submerged Goose Rocks.